​During the month-long, fleet-wide donation campaign, Round Up for Charity, Stena Line and its customers raised an impressive €20,000 for the charity organisation Mercy Ships. The funds will enable Mercy Ship to help 133 people to get their sight back on board the hospital ship Africa Mercy. ​From just €95 per adult sharing, price includes return ferry travel with car AND a hotel in Britain! 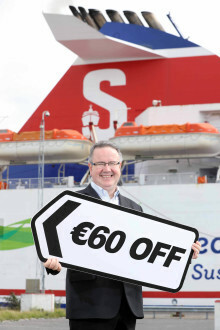 ​SEPTEMBER is here already, but don’t worry if you haven’t found the time to book a summer break or short trip away as leading ferry company Stena Line is offering a saving of €60 when customers book both their ferry and hotel accommodation together, plus don’t forget that kids travel free – ideal for the upcoming mid-term break! ​Leading ferry company offers 25% off travel to Britain THE weather has been glorious recently and leading ferry company Stena Line is turning up the heateven more with the launch of a new sizzling summer offer. ​LEADING ferry company Stena Line has confirmed it is title sponsor of the Dublin Horse Show for the next two years. ​LEADING ferry company Stena Line has proved to be a marriage made in heaven for bride Aine Kilgannon who was married in County Roscommon on Saturday afternoon. ​FOR this weekend only, Stena Line is launching a red hot flash sale which means you can save 20%* off on travel from Dublin to Holyhead and Rosslare to Fishguard when booked before 11pm on February 27 for travel up to 15 December 2018. ​FRANCE is the world’s most visited country and to help make sure you can experience its stunning scenery, culture and renowned food in 2018, leading ferry company Stena Line is offering 10% off sailings from Rosslare to Cherbourg this summer. 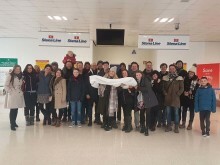 ​IT may officially be the most depressing day of the year, but leading ferry company, Stena Line, has come to the rescue of Irish holidaymakers who are suffering from the dreaded January blues with the launch of their sale which offers passengers 25% off sailings from Dublin to Holyhead and Rosslare to Fishguard when booked by January 23 for travel up to January 31 2019. ​RECENT travel disruptions around the UK and Ireland has meant that thousands of holiday-makers have had their travel plans disrupted or cancelled as well as countless family and friends’ events. 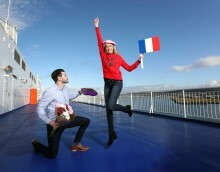 ​IRELAND’S leading ferry company, Stena Line, has launched a joint campaign in Britain with Tourism Ireland, which will be seen by over 3 million people. ​IRELAND’S leading ferry company is encouraging Irish holidaymakers to take advantage of its incredible value day trip to Wales from only €6.50* giving people the chance to enjoy a day out across the Irish Sea for less than what it would cost to buy a daily Leap Card for Dublin Bus. ​FAMILIES can look forward to an action packed theme park adventure in Britain this summer thanks to Stena Line. 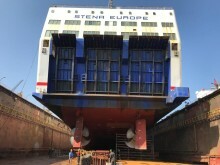 ​Stena Line has just signed an agreement with Ctrip, China’s largest travel agent to sell its passenger ferry tickets. The deal will enable Stena Line to access the vast Chinese market and open up a range of possibilities for self-drive tours using its extensive route network to the island of Ireland.